Q: We paid our landlord a security deposit when we moved in four years ago and live in our house on a month-to-month lease. Our landlord is losing the house and is in default with his lender. It’s public information that we accessed online. My wife told our landlord that since we would not be getting our deposit back from him, he should use the deposit as our last months’ rent and we would be leaving at the end of the month. We tried to contact the mortgage company about possibly staying in the house until they sold it but they would not even talk to us. My landlord came over today and asked us if we were moving out or paying rent for another month. We told him that we had agreed on him keeping the deposit and that should have us covered until we do move at the end of the month. He said that he was going to file a 5 day eviction notice with the courts tomorrow. We are planning on going down to fight it because he is not following what we agreed to with the deposit. At what point does the landlord lose his right to the house and to demand payment from us? A: As a tenant, you’re between a rock and a hard place. Your landlord remains your landlord and is entitled to collect rent from you. He continues to own the property, has all the rights any owner of property would have, and can continue to collect rent until the bank has foreclosed on the property or the bank has filed suit against the owner and the court has given the lender the right to manage the property. But you’re right to be concerned that the landlord will end up losing the property and won’t have the money to return your security deposit. That’s a legitimate worry. The landlord also has a legitimate concern in having you pay your rent and return the home to him without damage. As you’re planning on moving out of the home by the end of the month (which is only a couple of weeks away) your landlord may give you a 5 day notice and can even file to evict you. But if he does file, you’ll already be out of the home. The landlord has rights under the lease and could sue you for the failure to pay rent, but if you leave the home in good shape, the landlord may decide to let it go. After all, he has bigger fish to fry at the moment. One thought you should consider, if you obtained information about the foreclosure of the home on the Web, you might not have learned everything about the case and your landlord’s true financial position. Your landlord may have failed to pay the loan back in time but has perhaps been able to refinance the home with another lender. If he is successful in refinancing, he’d continue to expect rent from you. You’ve made an assumption that your landlord is in financial difficulty on the basis of the filing of the foreclosure case against him. Given the current economic environment, your assumption that the owner is in trouble might be correct. But in some cities, there are rules a landlord must follow to protect a tenant. For example, in some places, a landlord is required to place the security deposit for a lease in an escrow account. 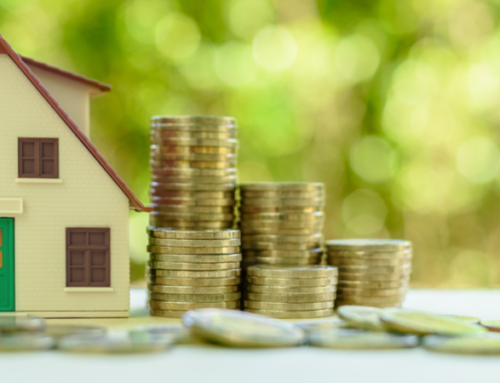 The funds in that escrow account can’t be commingled with other money and the funds must be accounted for and paid back to the tenant within a certain number of days after the tenant moves out of the home. If you live in a city or state with certain tenant protections, you might have shortchanged your landlord the rent that he was entitled to and your security deposit should have been protected and returned to you after you moved out of the home. On the other hand, if you live in a city or state without those tenant protections, your security deposit might have been at risk, leaving you with the unpleasant and time-intensive task of suing your landlord. Finally, if your landlord never agreed to apply the security deposit as your last month’s rent, you probably had no right under the lease to stop paying your rent. Your landlord is probably entitled to enforce the terms of the lease up until the time that his ownership right in the property is terminated.